Shanghai-based Sinobios (Shanghai) Imp. & Exp. Co., Ltd. (hereinafter called Sinobios) is a member company of SinoBios group which is headed by Baiyin Sino Bio-Science Co., Ltd. and headquartered in Baiyin Economic Development Zone in Gansu province of China. The group specializes in research, production and marketing of enzymes and other bio-chemical products for different application fields. Sinobios’ production base manufactures bio-tech products under ISO9001:2008 /ISO22000:2005/ISO14001:2004 System, Identification of Hi-Tech Enterprise, Halal Certificate, Kosher Certificate, as well as Production Permit of National Industrial Products. 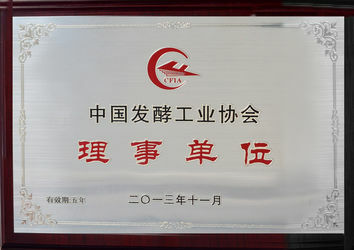 Its award-winning success includes the official titles of “AA Grade Credibility-guarantee Enterprise” by China Agricultural Development Bank and Bank of Lanzhou, “Top 10 Key Enterprise” and “Key and Model Enterprise” granted by the Municipality Government in China, "Certificate of Hi-tech Enterprise” issued by China’s Science and Technology Committee, and “Top-50-Enterprise” by Management Committee of Shanghai Taihe Development Zone. 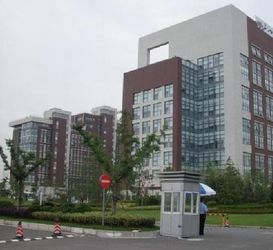 Sinobios’ main R&D center is situated in Shanghai through cooperating with Chinese Academy of Science, Lanzhou University of Technology and Jiangnan University, by which Sinobios can undertake projects of developing the new strains of enzymes used for industrial application and technical innovation, making different solutions against customer’s requirements. Its technical team is well organized. It has more than 10 staff possessing national medium-level professional titles. The quality of its goods can be fully guaranteed with the perfect management structure and operation system, while the professional work team can provide the customers with efficient and excellent after-service. 1) Enzymes: glucoamylase, alpha-amylase, protease, beta-glucanase, xylanase, phytase, cellulase, lipase, pectinase, glucose oxidase, transglutaminase, lactase and the specialty enzymes for industries of food, feedstuff, textile, paper, beer, alcohol, fruit juice, bakery, and leather processing. 2) Probiotics: bacillus subtilis, bacillus licheniformis, and bacillus natto. 3) Yeast: active dried yeast, yeast powder, beer yeast powder, and yeast cell wall. 4) Amino Acid: lysine HCL, lysine sulphate, threonine, tryptophan, methionine. 5) Chemical Products: betaine, zinc sulfate, peptone, sodium butyrate, zinc sulfate, allicin, diatomite, and montmorillonite. 6) Other food and feed additives: wolfberry, dehydrated vegetables. In past 8 years, Sinobios’ products have been exported to over 50 countries, mainly covering the areas of North and South America, Europe, Southeast Asia, Middle East, South Africa and Australia. The proper application of Sinobios’ products can well improve the production efficiency, enhance production capacity, enlarge the utilization of resource and solve the problem of environmental contamination. Among Sinobios’ main business partners are Tsingtao Brewery, Carlsberg, Asahi, CRC, Blueribbon, and Kingway. Sinobios is seeking more possible opportunities to cooperate with international enterprises, colleges and scientific research institutes, and is planning to increase the items of importation from abroad, especially the goods for animal nutrition. Sinobios has set up some sale outlets covering most provinces, autonomous regions and municipalities in China. The end users belong to the industries of food, feedstuff, textile, beer, alcohol, fruit juice, bakery, paper making and leather treatment. Sinobios is a successful bidder for many manufacturing and application items put by such famous enterprises as Tianguan Group Co., Ltd. the largest alcohol factory in China. We have the perception of our own role as partners, promoters and providers of happiness and wealth, not only for our customers but also for our colleagues and society, with courtesy, our team spirit and industrial activity in the way we undertake it. Baiyin Sino Bio-Science Co., Ltd. was founded in Baiyin Economic Development Zone in Gansu province of China. It is one of the largest production bases of the bio-tech industry in northwest China. The company specializes in research, production and marketing of enzymes and other bio-chemical products for different application fields. The products mainly include: glucoamylase, alpha-amylase, protease, beta-glucanase, xylanase, phytase, cellulase, lipase, pectinase, glucose oxidase, transglutaminase, lactase and the specialty enzymes for industries of food, feedstuff, textile, paper, beer, alcohol, fruit juice, bakery, and leather processing. Obtained “Certification of New Hi-tech Enterprises” from Science and Technology Committee of Gansu Province China. 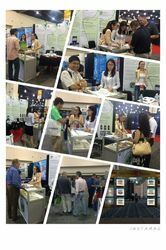 Successfully launched beer complex enzymes and feed compound enzyme products. 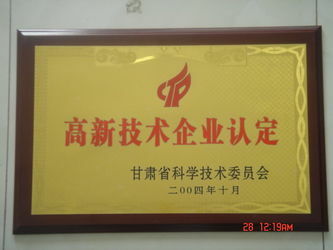 Was entitled as “High-Integrity Enterprise” by local government of Gansu China. Appointed as “Key Enterprise in Agricultural Industrialization of Gansu Province” by local government of Gansu China. 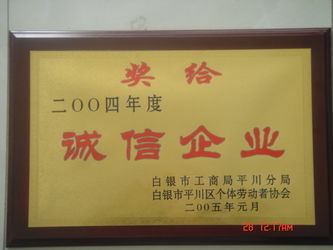 Entitled as “Top 10 Strong Enterprises of Year 2004” and “Key Model Enterprise” by the Municipality Government of Baiyin in China. 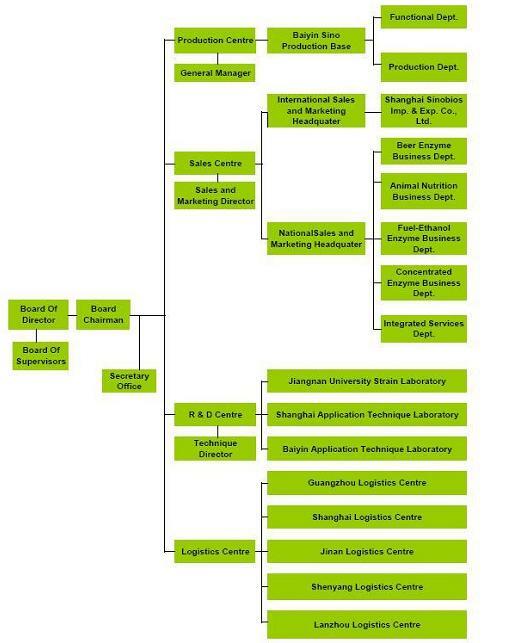 Entitled as “Top 20 Strong Enterprises” by Baiyin local government. Launched ethanol enzyme series products successfully. Granted as “AA Grade Credibility-guarantee Enterprise” by “China Agricultural Development Bank” and “Bank of Lanzhou”. Sinobios (Shanghai) Imp. & Exp. 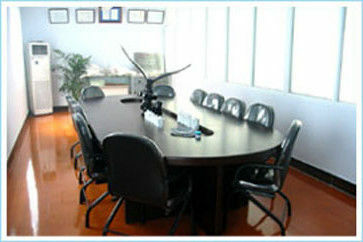 Co., Ltd. was founded in Pudong New Area of Shanghai. It is a member company of SinoBios group which is headed by Baiyin Sino Bio-Science Co., Ltd. With its establishment, Sinobios’ product can be directly exported to the international market instead of through other exportation agents. Set up a well-equipped and superiorly-staffed R&D institute in Shanghai Zhangjiang Hi-tech Zone, through cooperating with Chinese Academy of Science, Lanzhou University of Technology and Jiangnan University. With this institute’s full and firm scientific support, Sinobios can develo new strains of enzymes for industrial application and technical innovation. Obtained “Certificate of Hi-tech Enterprise” issued by China’s Science and Technology Committee. Granted as “Top-50-Enterprise” by Management Committee of Shanghai Taihe Development Zone. 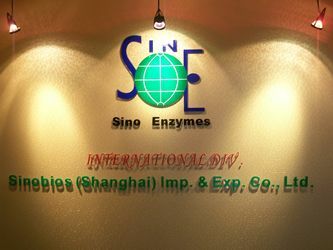 By the end of 2009, Sinobios became the largest manufacturer of brewery enzymes in China taking over 40% share of the beer enzymes market in China. Among Sinobios’ main business partners are Tsingtao Brewery, Carlsberg, Asahi, CRC, Blueribbon, and Kingway, etc. Finished the extension project of Baiyin manufacture base. The production capacity was increased to 5,000MTS annually. Sinobios has set up selling chains covering most provinces, autonomous regions and municipalities in China. The end users belong to the industries of food, feedstuff, textile, beer, alcohol, fruit juice, bakery, paper making and leather treatment. Sinobios is a successful bidder for many manufacturing and application items put by such famous enterprises as Tianguan Group Co., Ltd. the largest alcohol factory in China. Obtained “Manufacturing License of Food Additives” issued by Bureau of Quality and Technical Supervision of Gansu Province of China. Selected as the Council Member of China Fermentation Industry Association. Obtained “Authenticated Certification of New Hi-tech Enterprise” issued by Gansu Province of China. 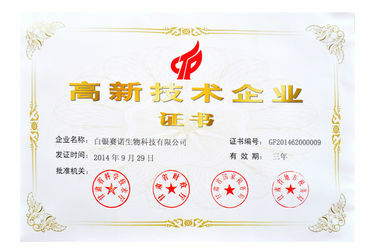 Obtained “Certificate of Famous Trademark” of Gansu Province in China. Sinobios (Shanghai) Imp. & Exp. 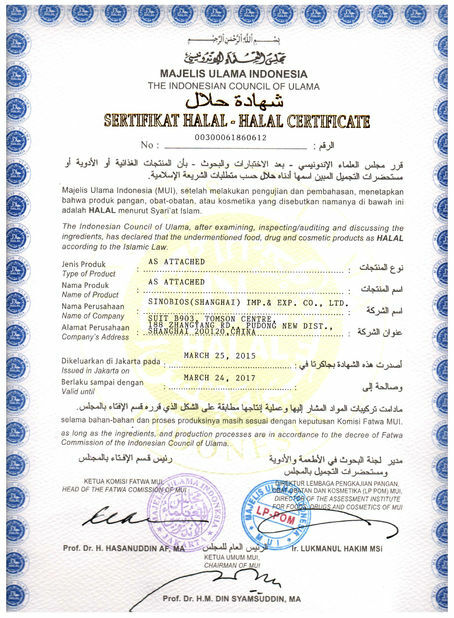 Co., Ltd. obtained Halal Certificate. Increased the production line and business scope, covering enzymes, probiotics, yeast, amino acid, minerals, trace elements, vitamins and other bio-chemical products. Obtained “Manufacturing License of Feed Additives” issued by “Feed Industry Association of Gansu Province”. Sinobios (Shanghai) Imp. & Exp. 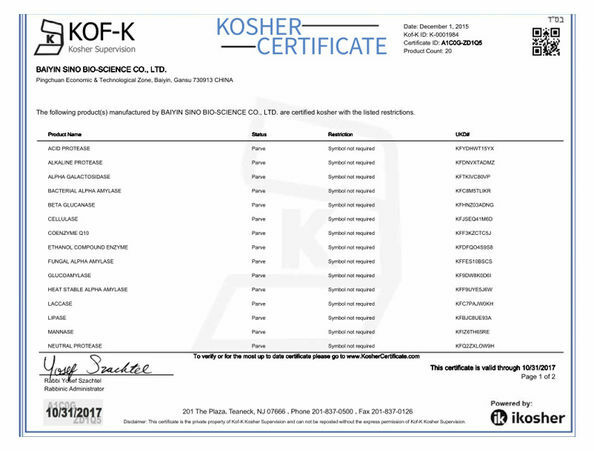 Co., Ltd. obtained Kosher Certificate. By now, Sinobios has exported its bio-chemical products to over 40 countries covering most continents. Sinobios (Shanghai) Imp. & Exp. Co., Ltd. has given the topmost priority to research and innovation so as to ensure its long-term operational viability and sustainable growth. SINOBIOS’ people always believe that the more technologically-advanced the products are, the better the customers can be served. SINOBIOS has diligently and successfully expanded its product into many industrial areas, covering food, animal nutrition, textile, papermaking, brewery, ethanol, fruit juice, and leather processing. SINOBIOS’ concentrated enzymes include glucoamylase, alpha-amylase, protease, beta-glucanase, xylanase, phytase, cellulase, lipase, pectinase, glucose oxidase, transglutaminase, lactase, etc.. SINOBIOS’ probiotics (effective microorganisms) includes bacillus subtilis, bacillus licheniformis, lactobacillus acidophilus, and bacillus natto; SINOBIOS’ Yeast includes active dried yeast, yeast powder, beer yeast powder, and yeast cell wall. SINOBIOS is penetrating more areas in amino acid as well as other bio-chemical products including peptone, betaine, sodium butyrate, zinc sulfate, garlicin, diatomite functional feed additive, and montmorillonite. We also handle such food or feed additive as wolfberry and dehydrated vegetables. With continuous and long-term research and development plus competitive marketing operation, the brand of SINOBIOS is now highly ranked in China and the world. SINOBIOS has also been actively engaged in technological collaboration with some famous research institutes and universities. SINOBIOS’ tech-power also includes an excellent researching team for microbiology, enzyme engineering, practical applications and formulations. 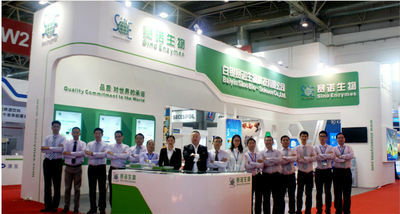 SINOBIOS is sponsoring its R&D center in China. Equipped with a team of professional researchers and a whole set of advanced experimental apparatus, the R&D Center functions as the incubator of all of its related bio-products. SINOBIOS’ excellent technicians are making great efforts in cultivation of microbes, small-scale application trials, and development of new enzymes, probiotics and other bio-products. SINOBIOS will be always engaged in technology and bio-science, so as to "ferment a better life for you, me and all". Package Types for SINOBIOS’ Solid Products. 2. Package Types for SINOBIOS’ Liquid Products. 1) The goods packed in barrels cost more than in bags by about USD90.00 for capacity of per metric ton. FOB China Main Port USD2,090/MT, Packed in BARRELs of 25kg net. 2) The goods loaded/shipped in LCL cost more than in FCL per metric ton. FOB China Main Port USD2,100/MT (if x = 2,000 and y = 100), Packed in drums of 25kg net for LCL. Sinobios (Shanghai) Imp. & Exp. Co., Ltd. has set up district storage centers in Jiangsu, Ningxia, and Sichuan in China, and keeps the stock according to the indents and market anticipation. Each storage center is under strict and standard management. * Shanghai port, in east China, the largest container port in China. All big shipping companies set branches in Shanghai. * Qingdao port, in east China’s Shandong province. Qingdao port is the third largest container port in China, with many shipping lines to most ports of the world. * Huangpu (Guangzhou) port in South China. * From Manzhouli (Zabaikalsk) of Northeast China to Moscow Russia or Kiev Ukraine. * From Guangxi in South China to Vietnam. * From Shanghai Hongqiao Airport or Pudong International Airport. * Dispatch from Beijing Airport. If the indent is given and for one full container load, the proper time for shipment of regular types of SINOBIOS’ products is usually 10-20 days after receipt of L/C or T/T down payment. 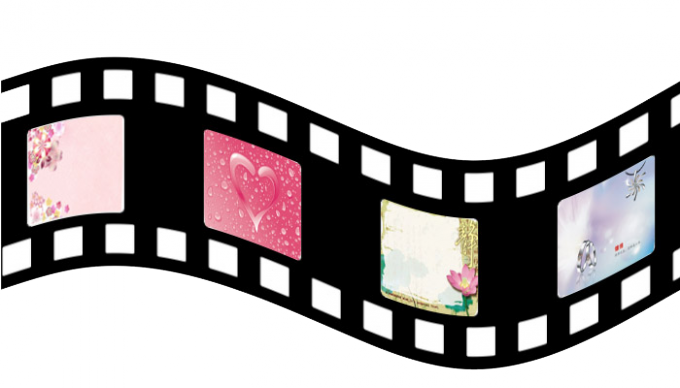 Spring Festival holidays: usually in early February. Mid-Autumn Holidays: usually in mid September. China National Day holidays: usually Oct. 1st to 5th. The Shanghai-based Sinobios (Shanghai) Imp. & Exp. Co., Ltd. is a member company of SinoBios group which is headed by Baiyin Sino Bio-Science Co., Ltd. and headquartered in Baiyin Economic Development Zone in Gansu province of China. The group specializes in research, production and marketing of enzymes and other bio-chemical products for different application fields.